Avant Browser has three Rendering Engines built-in: Trident, Gecko and Webkit, the engines behind Internet Explorer, Mozilla Firefox and Google Chrome respectively. Users can choose whatever their favorite engine as the default, and switch to others when the default cannot render a web page properly. * Ultimate Version includes IE, Firefox and Chrome rendering engines. 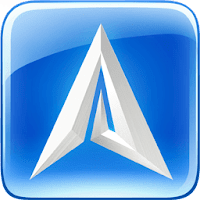 Disclaimer: Direct downloads for the lastest version of Avant Browser 2017.8 are provided by the official software's author, we can't guarantee safety, availability or download speed. Moreover, we don't and we won't provide any pirated/illegal versions or tools. We recommend you to avoid it as these methods can harm your device. If you like the software, buy it to support the developers. (We provide software discounts for many worldwide brands).